What I Want You to Know is a series of reader submissions. It is an attempt to allow people to tell their personal stories, in the hopes of bringing greater compassion to the unique issues each of us face. If you would like to submit a story to this series, click here. Today’s guest post was submitted by Julie Barclay. “Looking back, I shake my head on how much I didn’t get when we added a six year old boy from Ethiopia to our family five years ago. On the outside, we foolishly convinced ourselves that everything was fine but on the inside, our son was broken. A year or so into his new life in our family, debilitating survivors guilt and anger reared its ugly head and flowed into our everyday world. On some days it paralyzed the entire family. By the book we did everything we possibly could for him. Grief counseling. Family counseling. Love. 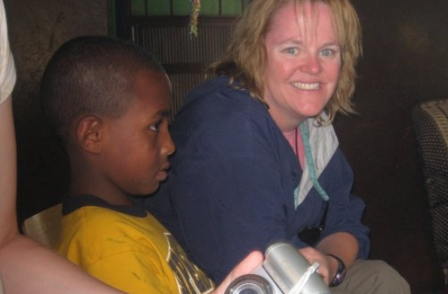 But this tiny eight-year-old Ethiopian was breaking apart and he was taking us down with him. It was during this time I sat at my counter, beside myself and drained, after yet another rough morning and my heart ached. Yes, it literally ached for his torment and grief. And then it dawned on me, an epiphany of extreme proportions, that my son needed a purpose and an identity beyond the word adopted. We needed to strip away the title and we needed to find him. And then, out of the blue, like Emerson’s Law of Spiritual Gravitation (people destined to meet will do so apparently by chance, at precisely the right moment) a seventeen year old Ethiopian adoptee walked into Noah’s life and changed everything. Solomon had just returned from Ethiopia. His adopted family decided he and his biological sisters needed a trip to their Motherland. They hired a car in Addis and as the story goes just started driving around the countryside in Ethiopia, hoping to maybe stumble on Solomon’s birth village. Seriously. They drove around an area they knew they were from. One day the siblings saw a tree up on a hill and told their parents to stop the car. They raced out of the car and ran up the hill and then disappeared behind it. The family followed, only to stop in their tracks at the site of their three adopted children being welcomed back into their birth village. They spent several days in the village and during that time Solomon became aware of the daily struggles to obtain safe drinking water. Upon leaving for home, Solomon pledged to his village they would have safe water. He came back to the States and for his Senior Year Project created a fund raising campaign that would build a well in his birth village. Noah met him during this fund raising campaign and became fascinated that this Ethiopian adoptee could give back to the people he left behind. Solomon was exactly the same age Noah was (6 years old) when he was adopted, so ten years had passed. Noah is and always has been a busy guy with his hands. To keep his hands happy during a long drive to a family reunion, I set him up with a picture frame size weaving loom. (He had learned how to weave through an Artist in Residence program in 3rd grade) Noah decided on this trip he was going to do some weaving and sell the weavings for $5 to family members and then give Solomon the money for his well project. His first round of weavings made $45. The first few days of 4th grade, Noah shared his story of Solomon with his teacher. His teacher, who has a heart of gold and a very social justice lean to her way of teaching said, “Everyone in this class knows how to weave, so lets have the whole class do this and we’ll sell them.” The local holiday bazaar donated a space during the holidays for Noah and his friends and at the end of the day they had made close to $500. By that time Solomon’s campaign had already topped out and he was actually in his birth village for three months helping dig and place the well for his birth village. I did some research and found that charity:water, a non-profit organization out of New York City accepted donations and 100% went directly to project in the field. We set up an account, Weaving for Water, with them. Noah kept weaving. His friends kept weaving. His classmates kept weaving. 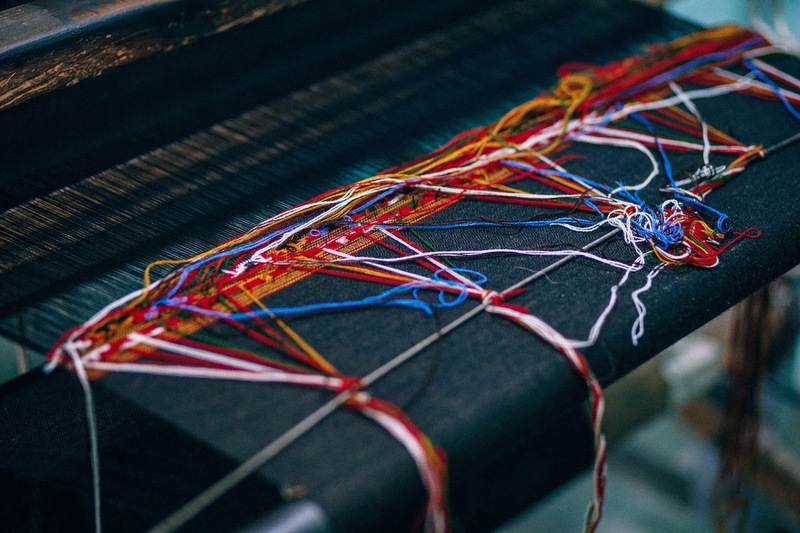 As of last May, they had sold over $2500 worth of weavings that have helped fund projects in Uganda, The Ivory Coast, Nepal, The Democratic Republic of Congo, and Ethiopia. In fact, just a few days ago we received pictures from a well project in the village of Mihtsagshim, Ethiopia surrounded by happy villagers that Noah and his friends helped fund. Last March charity:water designated Noah as a World Wide Water Ambassador for his work to spread the word in his community for the need for clean safe drinking water around the world. He educated hundreds of kids in one day and he educated a community over the span of two years with his project. He was also honored last May with the Clark County Youth Achievement Award for his work to educate others about the need for clean water. For me, his mom, well, I tear up because after weeks and months of my heart aching for his grief it is so very clear he has found his purpose. I have said time and time again he is on loan to us from Ethiopia. He’s going to go back. He’s going to dig wells, find medication, and save lives because that is his purpose. He has told me as much. Finding a purpose. Sharing his heart. His compassion. That is the way he has conquered the demons that tried so very hard to conquer him. What an inspiring and heartwarming story, thank you for sharing it.